Wild Rita’s Modern Mexican & Tequila Bar turns it up more than a few notches! 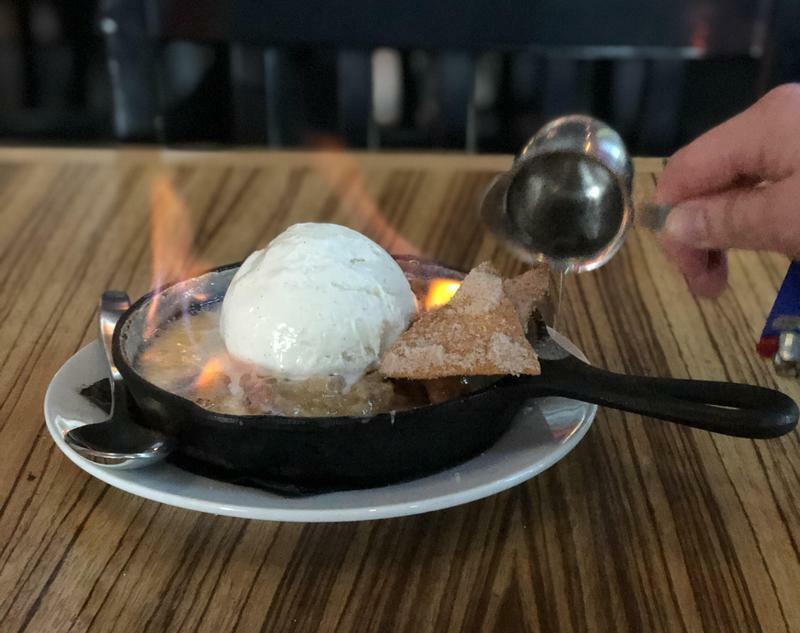 Proprietor Levi Donaldson and Chef Carter Gross have come up with a delicious array of unique and winning combinations, bringing together modern and inventive interpretations to both the menu and the venue! This is definitely not your typical Mexican restaurant. The spacious and comfortable dining room makes you feel at home immediately upon arrival. The friendliness of the service staff just adds to the already cozy vibe. The bright and sunny décor make the entire space come to life. Before I describe our incredible meal, it must be noted that Wild Rita’s uses only the very freshest ingredients on all the items on both the food and the drink menus. For example, the margaritas feature 100% agave versus the standard sweeteners used by most bars and restaurants. Also, the wood burning oven adds spectacular flavor to items that can be found throughout the menu... Even to the salsa! We began with the Casa Margarita which features premium barrel aged tequila, 100% agave, orange and lime. This was a great start I must say and a nice preview of the care being put into the entire experience! Our starter was the fuego fire-roasted salsa and chips - delicious! 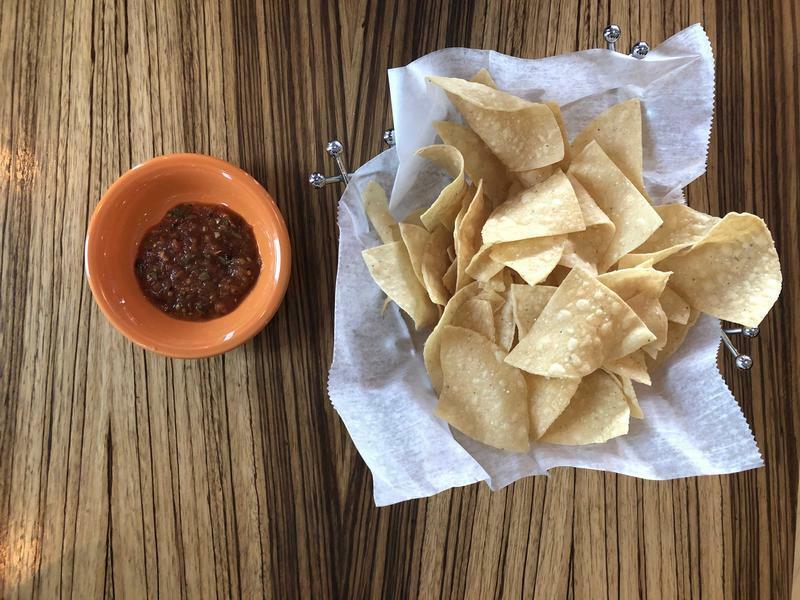 The fire-roasted flavor really sets this apart from any other salsa you’ve ever had. Next was the Mamas Y Papas, also from the starter menu. 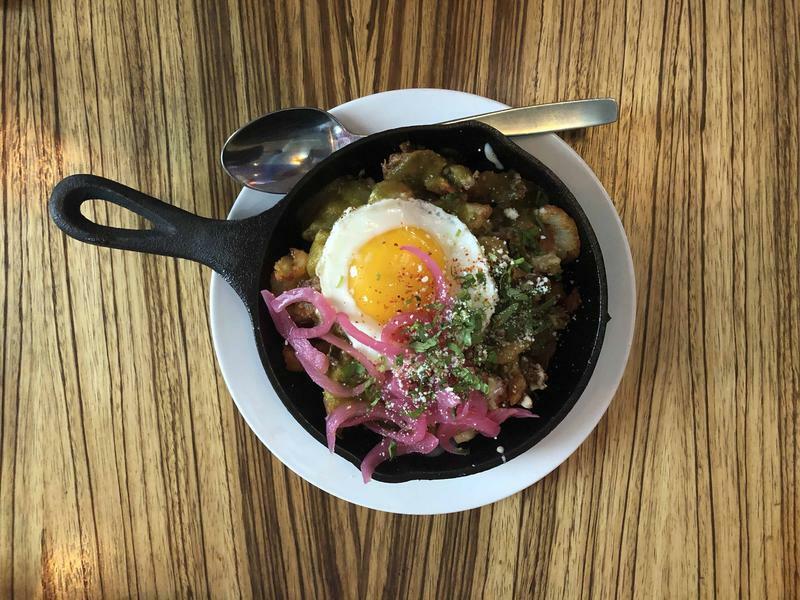 This exquisite dish includes fried potatoes, queso blanco, salsa verde, queso cotija, pickled red onion and an egg. It's important to point out that the potatoes are definitely not your ordinary fried potatoes. These have been Boiled, Smashed, Dried and then Fried! After reviewing the menu, we just had to try the Smokehouse Taco. And please be assured - the fire-roasted flavor came through here as well! Consisting of chicken, molé, cilantro mustard, pickled jalapeño, fried onions, queso cotija, chipotle crema and cilantro, the Smokehouse Taco did not disappoint in any way! We also ordered one of the mouthwatering house specialties, the BBQ Chicken Mole. 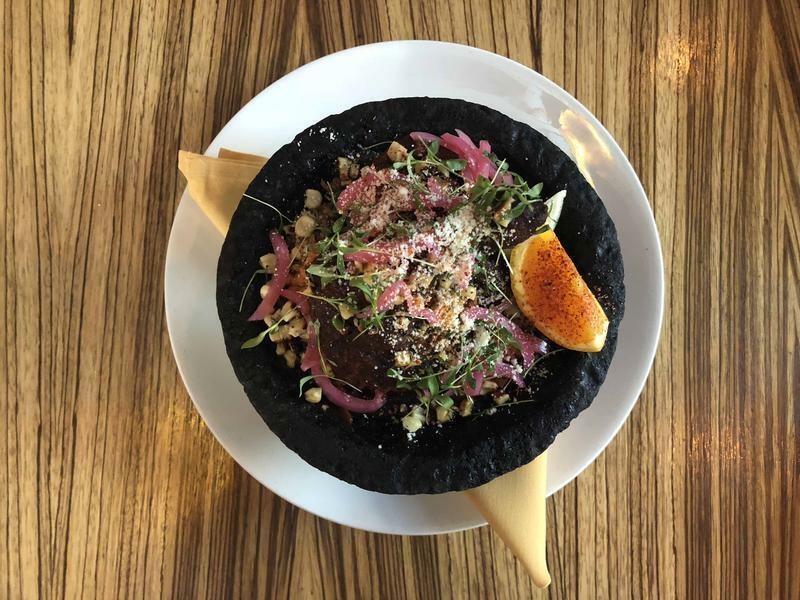 This custom made BBQ mole is very unique and was developed by Chef Gross himself. The dish includes a half chicken, BBQ molé, cilantro mustard, pickled jalapeño, fried onions, queso cotija, chipotle crema and cilantro. Another home run! Everything was so delicious we also talked ourselves into sampling a Taco Trio that featured the CARNE ASADA with skirt steak, guacamole, onion and cilantro; the PESCADO FRITO with fried or blackened cod, cabbage, chipotle crema and cilantro and the AL PASTOR with Achiote pork, pineapple salsa and cilantro. For dessert, we enjoyed the Plantains Fuego and those came complete with fire! It was an awesome wrap up to an adventurous and satisfying meal. We were having so much fun that, if we had not been so full, we could have continued exploring the entire menu! Every visit to Wild Rita’s is an incredible experience from beginning to end! The menu will keep you on your toes and the service is literally as good as it can get. We’ll be coming back here soon and are already browsing the online menu to see what’s next! The team at Wild Rita’s is hands-on and it was clearly obvious that the priority is for all customers have a fantastic time. 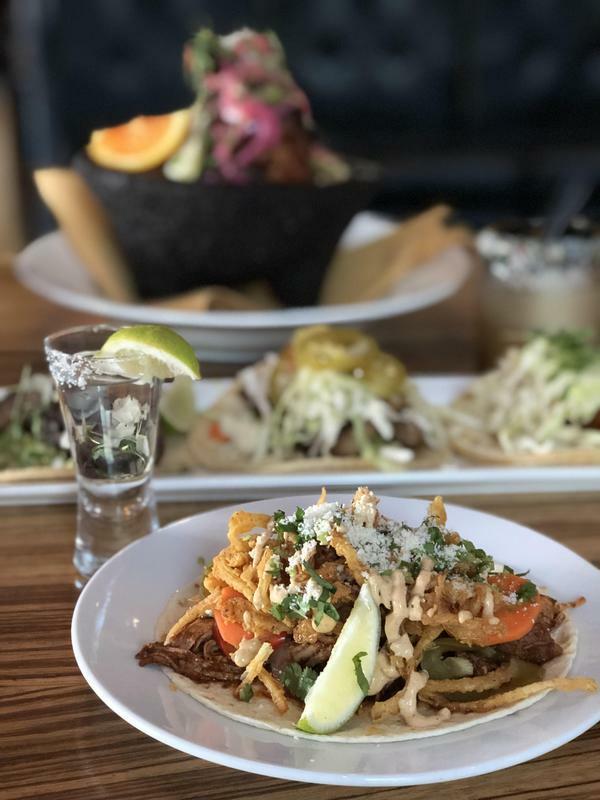 Visit Wild Rita's for a Unique Louisville Dining Experience!